Skin cancer, light micrograph of a sectionof a dermal cylindroma of the scalp. Cylindromas are benign skin tumors of the sweat glands.They most commonly occur on the head and neck as solitary or multiple tumors. Malignant cylindromas are very rare. 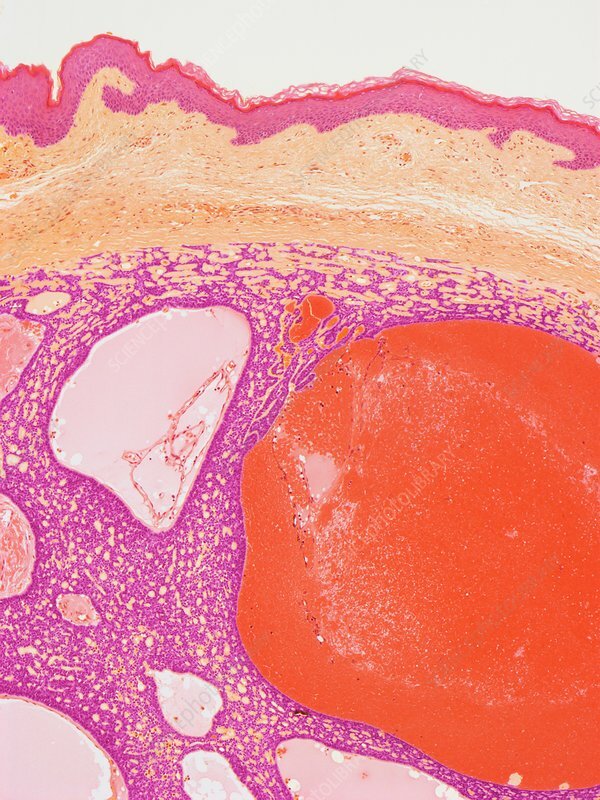 Histologically dermal lesions consisting of nests of cells (dark pink at middle and bottom of image) that are surrounded by hyaline (glassy, red, light pink, acellular) material. Magnification: x 100 when printed at 10 centimetres across. Human tissue.